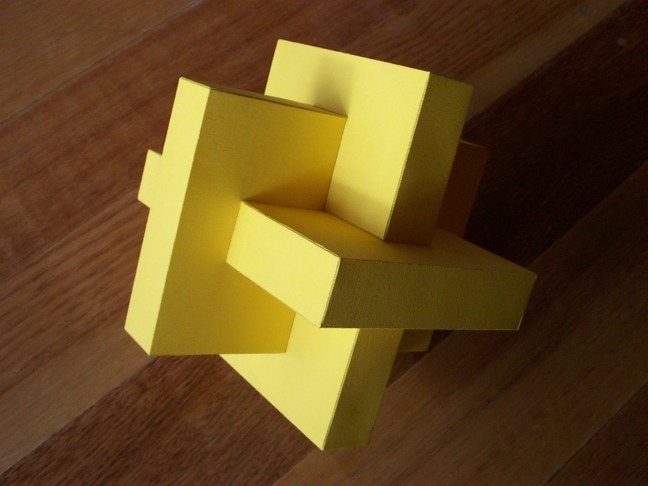 A compound of 3 cuboids (rectangular prisms). Also a sub-symmetric faceting of the truncated icosidodecahedron, having only tetrahedral symmetry. The 3 cuboids above are 3 of the 15 cuboids in this model. The 15 cuboids fall into five orthogonal sets of three, each given its own colour here.